New ways for robotic muscles to work? New ways for a workshop to work? Here are some stories that caught our attention this week. BUILD it and they will come. Ideas come in, companies come out. 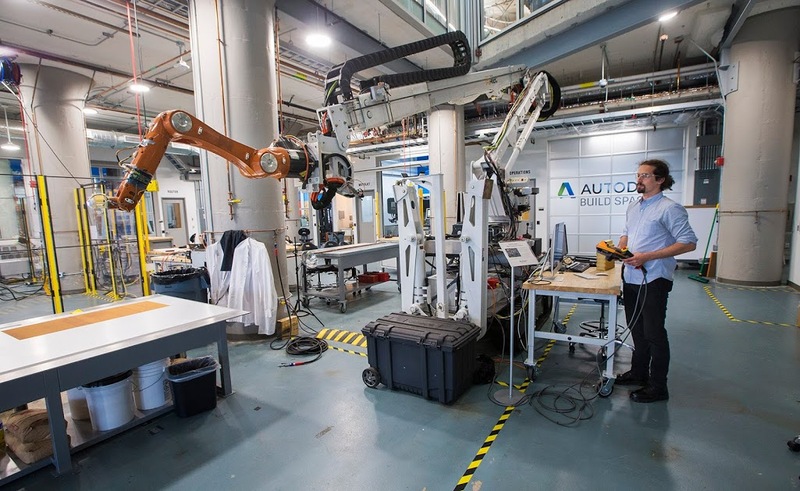 See what’s happening in the Autodesk workshop and incubator on the edge of the Massachusetts Bay in this piece from NPR’s Boston affiliate. Or check out Architect Magazine’s take on the ‘BUILD Space’. Smooth moves. Often, the hardest thing for robots to do is be gentle. A team of researchers is pioneering soft actuators that mimic the “natural” movements of our muscles and may one day enable robots to handle the most delicate of tasks. Check out WIRED’s coverage or go straight to the source in Science. Get your mind right. The rise of robotics and AI pose very real concerns for the fate of many jobs. We like this fresh, pragmatic perspective—not overly optimistic or excessively dire—on the skills you’ll need to thrive in the automated future from Hackernoon. Heavy metal. We’re big believers in the potential for metal 3D printing. Apparently Warren Buffet is too. It’s something we talk about a lot. Motley Fool recently went deep on the topic from an investor perspective, laying out what’s needed to make large-scale additive manufacturing with metal a reality. We’d humbly add that you need the right software in addition to materials, machines and know-how to do it well.